Etienne Fluet-Chouinard's first thesis chapter was published in PNAS in summer 2018! Etienne worked with the UN FAO to draw upon household consumption surveys from 42 countries, and concluded that one in three fish has gone unreported by the conventional global catch statistics! This interactive website highlights our research in Lake Tanganyika in the heart of Africa’s Rift Valley. Witness one of the world’s biological wonders and our team that's unraveling its mysteries. to optimally target candidate Great Lakes Basin barriers in order to maximize the return on investment from the improvement projects which are funded each year. ​What Can Snails Tell Us About Water Quality? 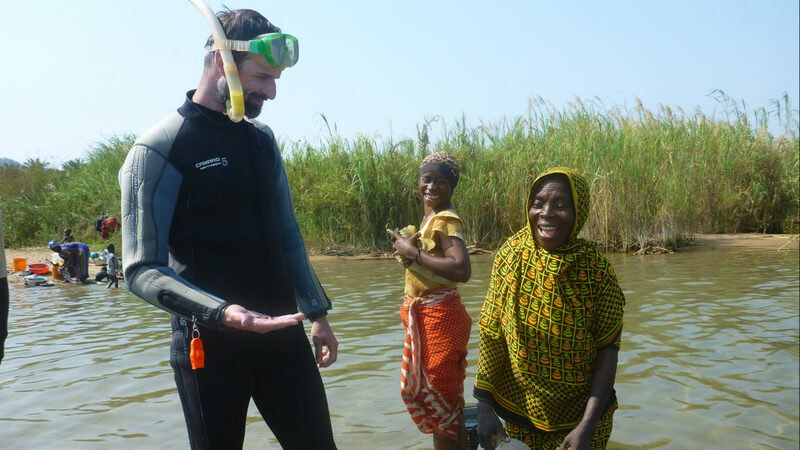 Pete answers that question and talks about field work on Lake Tanganyika via The Nature Conservancy's Cool Green Science blog. Check out the new blog post by McIntyre Lab PhD student Aaron Koning on his field work in Thailand: ​Are we saving forests at the expense of rivers? Congratulations to McIntyre Lab post-doc Austin Milt whose dissertation research recently appeared in a new major text for conservation planning. Conservation Planning: Informed Decisions for a Healthier Planet by Craig R. Groves and Edward T. Game is a new resource for practitioners, students, or researchers of conservation, natural resource management, or landscape planning and architecture. It includes methods, tools, approaches and case studies in nature conservation. ​Catherine Wagner, a UW assistant professor in the Department of Botany and the UW Biodiversity Institute, is studying interactions between the biodiversity of East Africa’s Lake Tanganyika and the human communities that live around the lake. The work is conducted with the support of The Nature Conservancy and with collaborator Peter McIntyre, an assistant professor in the University of Wisconsin-Madison’s Center for Limnology. 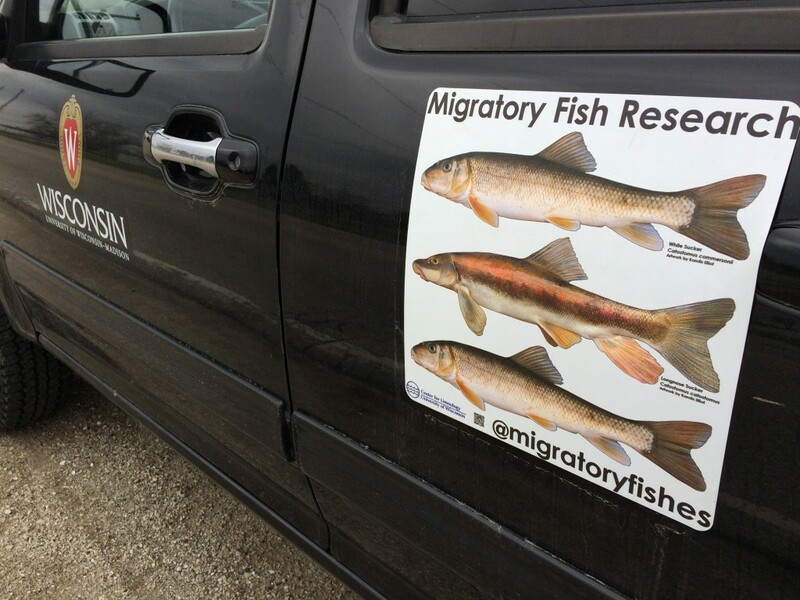 New post on The Fisheries Blog by former lab post-doc Stephanie Januchowski-Hartley highlighting migratory fish barrier research in the Great Lakes Basin: Why didn't the fish cross under the road? New post on the Canadian Science Publishing blog by Ellen Hamann: how to turn outreach obligations into opportunities. NEW CFL blog post featuring work by grad student Etienne Fluet-Choinard, "NEW MAP OFFERS BETTER LOOK AT WORLD’S WATER-LOGGED REGIONS"
NEW paper by McIntyre Lab former grad student Evan Childress out in Ecology of Freshwater Fish, "Spawning success and early life history of longnose suckers in Great Lakes tributaries"
Called “Fish On the Run,” the site will chronicle the fieldwork, scientific studies and computer modeling going on in Peter McIntyre’s research group here at the Center for Limnology. While much of the focus will be on the migratory fishes of the Great Lakes, folks in McIntyre’s group also explore fish as far afield as Tanzania and Thailand. A sneak peek of an upcoming H7 project that will take viewers on a journey to the shores of Lake Tanganyika.